Performance evaluation season will be upon us before we know it, so here are a few gentle reminders and tips to make this a good experience for both parties. This isn’t about you. You are evaluating the employee on behalf of the institution, and your evaluation should be a fair reflection of how the employee has served the institution. Put aside your personal feelings and base your evaluation on facts. Gather your information along the way. Don’t try to remember how the employee performed just a few days before the evaluation. Make it a habit, every month, to take notes on each employee’s performance, so you are not puzzling over the narrative at the last minute. Put it on your calendar. Make it an ongoing process. Have a deliberate check-in meeting with each employee every three months. Before the meeting, ask the employee to take notes on what has been going well, what the challenges are, what s/he has been working on, and what support s/he needs. Use these meetings to initiate course corrections, and let the notes from the meetings feed into the year-end performance evaluation. Put these meetings on your calendar. Get your employee’s input. Before the formal evaluation meeting, ask the employee to give you written notes on what has gone well this year and what the challenges were. BUT please don’t ask the employee to write his/her own performance evaluation, and don’t simply reproduce the employee’s notes as the performance evaluation. This is disrespectful to the employee and shows you don’t care. By the same token, don’t ask for the employee’s input and then ignore it in the evaluation. Rate the employee fairly and realistically. You’ll likely have to check some boxes indicating whether the employee ‘exceeds expectations,’ ‘meets expectations,’ or ‘needs improvement.’ Ensure that you take the entirety of the employee’s record into account when you check these boxes. Don’t mark ‘needs improvement’ to express a gripe about a single incident. And don’t mark ‘exceeds expectations’ across the board – doing so may make you feel generous, but it indicates that you have low expectations, or that the employee should be in a more challenging position. Discuss goals for the next year. Do this with the employee, and get his or her buy-in. Don’t simply impose goals on the employee. And be sure to check in regularly with the employee in the following months on the progress toward those goals – don’t wait till the next annual performance evaluation. And of course, the cardinal rule: No surprises. If you follow the advice above, the performance evaluation will hold no surprises for the employee, which is how it should be. If your evaluation is negative and this is a surprise to the employee, you have failed as a manager, since you should have been working to correct any negative behaviors along the way, and you should have discussed them already with the employee. Your goal should be to have the employee leave your office feeling valued and appreciated, even if there are areas for improvement. Keep an ongoing record. Make it a habit each month to recall your achievements and write them down. Otherwise, you will forget half of what you achieved and will undersell your accomplishments at year’s end. Put a reminder on your calendar. Ask to meet with your supervisor once every three months specifically to check in on how things are going with your work. Be prepared to ask what your supervisor is happy or dissatisfied with, and what s/he would like to see from you in the coming months. Report on progress toward your annual goals. Don’t expect your supervisor to initiate this. Put it on your calendar. If you get a negative surprise in your evaluation, be sure to raise this with your supervisor. It was his or her job to alert you to any performance issues along the way. Agree on goals for the coming year. You or your supervisor (or both) may develop goals for the year, but you must be sure they are reasonably achievable. Don’t set yourself up for failure with unrealistic goals. 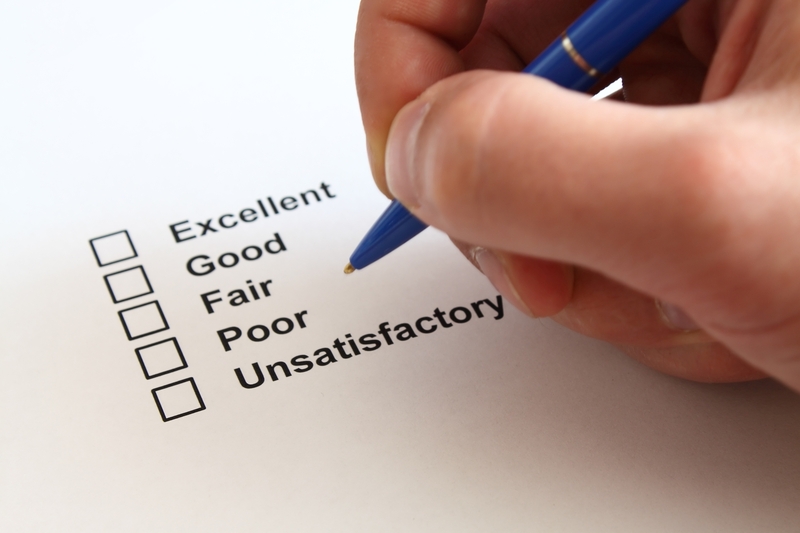 If you’re not satisfied with your evaluation, bring it up with HR. They will be able to advise you on how to effectively raise the problem with your supervisor. Performance evaluations should be a helpful process for both the evaluators and the evaluated. Too often, they are a source of worry, stress, and disappointment. The advice above (based on years of hard-won experience on both sides of the process) should contribute to a peformance evaluation that is helpful to the employee, the supervisor, and the institution. Do you have any other ideas for effective performance evaluations?